Today was a long day at work. (I’m starting to see a pattern here!) I came home and made dinner. Yes, I was crabby as all get out. Hubby took KIrby downstairs to play so that I could get dinner on the table without him underfoot. 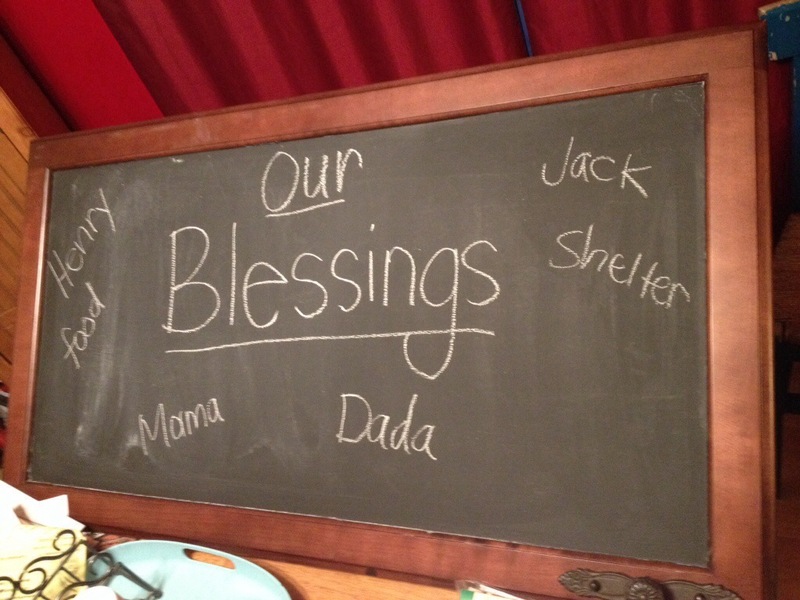 I decided to “uncrabby” myself and grabbed a piece of chalk, yelled out to Punky to name some of the blessings we have in our lives…” I wrote as he listed them. I think every night during dinner, we will try to add to our list.